Washington, Jan 18 (IANS) In a New Year gift to President Donald Trump, Apple has committed to invest $350 billion in the US over the next five years that includes creating 20,000 new jobs and an anticipated repatriation tax payments of $38 billion as required by new laws. “A payment of that size would likely be the largest of its kind ever made,” Apple said in a statement late on Wednesday, cheering Trump. “I promised that my policies would allow companies like Apple to bring massive amounts of money back to the United States. Great to see Apple follow through as a result of TAX CUTS. Huge win for American workers and the USA!” Trump tweeted. The repatriation comes in response to changes to the tax law, approved at the end of 2017, which aim, among other measures, to persuade US companies to repatriate their capital by reducing tax burdens. Under the new law, companies that make a one-time repatriation of cash will be taxed at a rate of 15.5 per cent on cash holdings and 8 per cent on non-liquid assets. The Apple investments will concentrate in three areas where Apple has had the greatest impact on job creation: direct employment by Apple, spending and investment with Apple’s domestic suppliers and manufacturers, and fuelling the fast-growing app economy which Apple created with iPhone and the App Store. “Apple is a success story that could only have happened in America, and we are proud to build on our long history of support for the US economy,” said CEO Tim Cook. “We believe deeply in the power of American ingenuity, and we are focusing our investments in areas where we can have a direct impact on job creation and job preparedness,” he added. Apple is already responsible for creating and supporting over 2 million jobs across the US and expects to generate even more jobs as a result of the initiatives being announced on Thursday. Apple already employs 84,000 people in all 50 US states. “The company plans to establish an Apple campus in a new location, which will initially house technical support for customers. 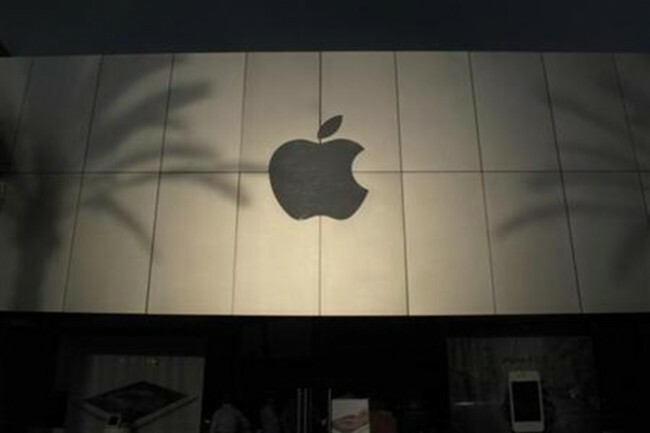 The location of this new facility will be announced later in the year,” Apple said. Over $10 billion of Apple’s expanded capital expenditures will be investments in data centres across the US. Last year, after Trump announced that Cook has promised to build three new manufacturing plants in the country, the tech giant revealed plans to build a $1.3 billion data centre in Waukee, Iowa. “Our new data centre in Iowa will help serve millions of people across North America who use Siri, iMessage, Apple Music and other Apple services, all powered by renewable energy,” Cook said. In an interview with the Wall Street Journal in July, Trump said he had a phone conversation with Cook. “He’s promised me three big plants – big, big, big,” Trump said, referring to Cook. Trump has reiterated several times that he would bring jobs back to the US.